Sense of urgency?? This has been going on for TWO WEEKS. I'm not happy right now. Fix it, Upwork!!! Same issue here, some jobs show that message in error, some don't. Cleared all browser caches etc. like other people suggested, no luck. From NJ. Is this the only response you are allowed to give? And if your team is so on top of it, why is it a persistent issue and why is it not acknowledged when you open a support ticket, instead getting the same generic answer as you provide? I have used Upwork for about 7 years now, and nothing ever works right. How a persons location can become such an issue is totally beyond my realm of understanding, as that should be one of the simplest things to verify and keep problem free. In addition, the support ticket issued, in generic terms, tells me basically we will work on the problem, but if I have any further info, to open a new ticket to get a resolution. HUH???? No "we will follow up with you when resolved" or anything like that, just thanks for telling us, now go away. It is like giving a faith healer your prayer at the revival, and then finding the prayer requests thrown in the trash later, prayer unaddressed. Get with it Upwork, or does Benny Hinn run the IT side of things???!!!! Could you please confirm if the issue persists after you clear your cache and cookies, or use a different browser. The issue noted has already been fixed, and I wanted to check if it still persists for some users after basic troubleshooting steps. I have this same problem with my location requirment not being met in error. When I submit a proposal, a window pops up and says "you will not meet the preferred qualifications" and it shows my location is not in the United States, however, I do live in the United States and have included my address in my profile, why are my proposals being rejected? When I submit a proposal, a window pops up and says "you will not meet the preferred qualifications" and it shows my location is not in the United States, however, I do live in the United States and have included my address in my proignore it until file, why are my proposals being rejected? It is a bug and your proposal is not being rejected. Ignore it until Upwork fix it, which should happen in the next Millenium or two. Obviously there are problems right now with location verification, location settings, and associated aspects of the Upwork system. I think most Upwork users are not actually affected, but I feel bad for those who are encountering this. 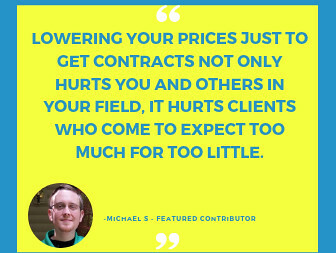 Although hit is mostly an annoyance rather than something that has any real impact on their ability to send proposals and get hired. If there is a silver lining to all of this, I would say that it is an indication that Upwork IS taking freelancer location accuracy seriously. Too many Upwork clients have been frustrated by freelancers faking their locations, and their complaints have clearly motivated Upwork to take a number of measures to combat the problem. 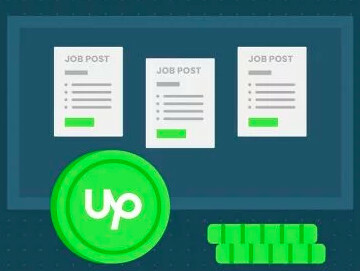 Upwork's implementation of solutions is not perfect yet, and may never be. 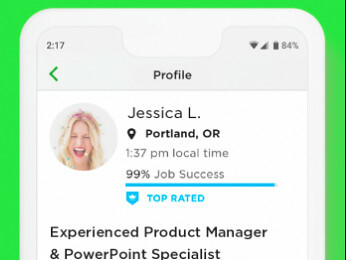 But the problems themselves mean that Upwork is trying to make sure clients are presented with accurate information about where freelancers are located.